Back for its 6th year with the Norwich Film Festival. 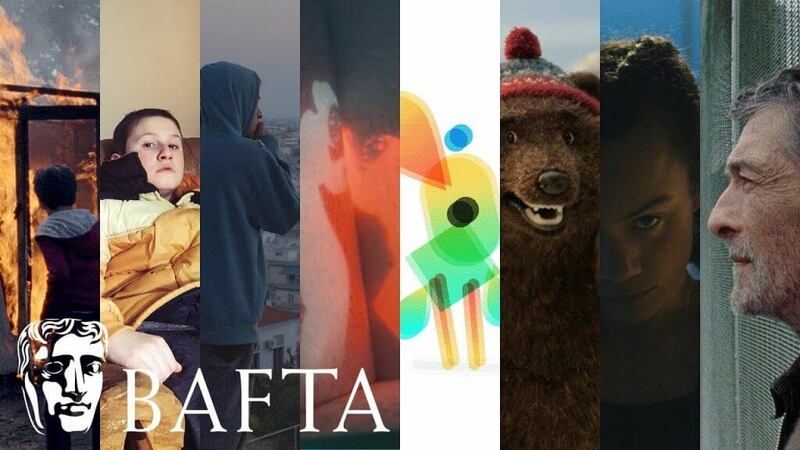 We will be screening the short films that had been selected at this year’s BAFTA awards. A Drowning Man’, dir. Mahdi Fleifel (15 mins) – Alone and far from home, The Kid makes his way through a strange city looking for the means to get through his day. Surrounded by predators he is forced to make compromises merely to survive. Winner of British Short Animation: ‘Poles Apart’, dir. Paloma Baeza (12 mins) – A hungry and solitary polar bear must decide if a naïve Canadian grizzly will be her food or her friend. ‘Work’, dir. Aniel Karia (12 mins 16) – A teenage dancer’s perspective of the world begins to shift as she is confronted with its capacity for injustice. ‘Have Heart’, dir. Will Anderson (12 mins 10) – A looping GIF has an existential crisis. Winner of British Short Film: ‘Cowboy Dave’, dir. Colin O’Toole (24 mins 47) – The story of a drifter, a war party and a hustler. ‘Wren Boys’, dir. Harry Lighton (11 mins 12) – On the day after Christmas, a Catholic priest from Cork drives his nephew to prison. ‘Mamoon’, dir. Ben Steer (6 mins 29) – A mother and child flee their home when mysterious dark shadows envelope the light in which they exist. ‘Aamir’, dir. Vika Evdokimenko (16 mins 22) – 13-year-old Aamir is stranded alone in the largest unofficial refugee camp in Europe. Katlyn, a volunteer he befriends there, becomes his last hope for salvation. We are hoping to be joined by Colin O’Toole who won this year’s Best Short Film BAFTA Award for Best Short Film for Cowboy Dave.